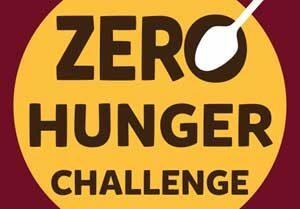 ROME, Apr 11 2018 (IPS) - The United Nations, which is battling some of the world’s worst humanitarian crises in Asia, the Middle East and Africa, still remains focused on one of its equally daunting undertakings: how to achieve Zero Hunger by 2030. But the latest figures released in a joint study by the European Union (EU), the Food and Agriculture Organization (FAO) and the World Food Programme (WFP) highlight the gravity of the situation just last year alone when some 124 million people in 51 countries faced acute food insecurity — 11 million more than in 2016 (even while the number of people living on the edge of starvation and hunger remains at 815 million worldwide). The 2017 increase, according to the ‘Global Report on Food Crises’, is largely attributable to new or intensified conflicts and insecurity in Myanmar, north-east Nigeria, Democratic Republic of the Congo (DRC), South Sudan and Yemen. Prolonged drought conditions have also triggered poor harvests in countries already facing high levels of food insecurity and malnutrition, both in eastern and southern Africa. And UN Secretary General, Antonio Guterres warned last January that hunger is on the rise the world over, with Africa registering the highest rates. The Secretary General said agricultural and livestock productivity in Africa was under threat largely due to conflict and climate change. He added, “climatic shocks, environmental degradation, crop and livestock price collapse and conflict are all interlinked”. Still, the United Nations seems determined to work towards its targeted goal of Zero Hunger by 2030. But how feasible is this? Asked about the impediments facing that goal, Dr Marta Antonelli, Research Programme Manager at the Barilla Center for Food & Nutrition Foundation (BCFN), told IPS reducing the number of chronically undernourished people in Africa is one of the most urgent challenges that the world needs to face. She pointed out that food insecurity, especially in Sub-Saharan Africa, is related to a variety of interconnected factors, such as extreme poverty, un-diversified livelihoods, weak institutions and governance, and, especially, adverse climatic conditions and social conflicts. Dr Antonelli said measures to tackle hunger in Africa include the harmonisation of governance of food security, sustainability and nutrition; building institutional responses to reduce extreme poverty and inequalities; supporting more efficient agricultural systems; ICTs and technology innovation. Additionally, it also includes supporting farmers to diversify livelihoods and reduce vulnerability; restoring land and increasing integrated land and water management to improve harvests; identification of strategies for building resilience to shocks through adaptation to climate change, institutional response mechanisms; and finally monitoring and reporting of the UN’s Sustainable Development Goals (SDGs) through generation and sharing of reliable data. The BCFN Foundation, a non-profit, independent think tank working for food sustainability, addresses today’s major food related issues with a multidisciplinary approach — from the environmental, economic and social perspective. That goal is to secure the wellbeing and health of people and the planet. Asked what role BCFN can play, as part of its contribution to a resolution of the food crisis, Dr Antonelli said the coexistence of hunger and obesity, the overexploitation of natural resources and food loss and waste: these are the three paradoxes identified by the Barilla Center for Food & Nutrition Foundation. According to BCFN, it recognises three imbalances that beset the global food system: food waste (nearly 1/3 of world food production), hunger in the face of epidemic levels of obesity (2.1 billion people impacted), and unsustainable agricultural systems (1/3 of world grain production is used for animal feed, foodstuffs are used for first generation biofuels instead of feeding people. Moreover, in 2016, BCFN launched the Food Sustainability Index (FSI), developed by The Economist Intelligence Unit with the Barilla Center for Food & Nutrition. The FSI analyses, ranks and maps 34 countries worldwide on a range of indicators, from food waste per capita to agricultural biodiversity and CO2 emissions from agriculture, to determine the sustainability of their food systems. For this reason, the BCFN launched in 2016 the Food Sustainability Media Award, which invites journalists, bloggers, freelancers and individuals to submit work, either published or unpublished, on food safety, sustainability, agriculture and nutrition. (www.goodfoodmediaaward.org). BCFN has also developed a series of educational programmes for school children and the MOOC on “Sustainable Food Systems: a Mediterranean Perspective” realised in collaboration with the Sustainable Development Solutions Network (SDSN) Mediterranean with SDG Academy and The University of Siena, with a major educational purpose. It consists of a series of pre-recorded lectures, readings, quizzes, discussion forums and deals with environmental and climate-related challenges basing upon Mediterranean experience, how sustainable farming systems is being utilized as a roadmap for positive action and implementation of Sustainable Development Goals. Asked about the importance of food sustainability– including eliminating waste and reducing obesity – as a key factor in reaching the 2030 goal, Dr Antonelli said the UN’s 2030 Agenda for Sustainable Development and its 17 SDGs establish a global set of objectives for all countries in the world to be achieved by the year 2030. SDGs range from the eradication of poverty and hunger, to the need to act for climate mitigation, to the promotion of education and gender equality, to preserving natural resources such as water in sufficient quantity and quality for human needs. Food access, utilisation, availability, quality and sustainability are at the core of all SDGs and represent a pre-requisite to implement the 2030 Agenda in all countries in the world. Agriculture accounts for one third of global GhG emissions, cover 38% of the world’s land surface (an area still in expansion), accounts for 70% of water withdrawals and 80% of desertification. The number of hungry people, she pointed out, is rising again and exceeded 815 million in 2016; overweight and nutrition challenges affect two billion people both in the North and the South of the world; and about one third of the food produced for human consumption gets lost or is wasted. Asked about the countries making the most progress in the Food Sustainability Index, she said the FSI Index shows that, when defining food sustainability by looking at country’s performance in sustainable agriculture, nutritional challenges and food loss and waste, the top scoring countries are France, Japan, Germany, Spain, Sweden, Portugal, Italy, South Korea and Hungary. The presence or absence of sound and well-implemented policies is fundamental in shaping the score of the countries analysed. Generally speaking, high human development is moderately correlated with higher sustainability of food systems. The analysis performed in 2017 on the Mediterranean countries revealed that the southern and eastern Mediterranean countries are those struggling the most in achieving sustainable food system, especially in the area of food loss and waste, whereas they perform relatively better across the nutritional challenges indicators. This will newver change until these people quit breeding like rabbits!Just like rabbits ,the better You feed them the more they breed!